First Lady Dena Cabell, the first daughter of Janice Hodge and the late Cornelius Harris of Washington, D.C. Educated in the District of Columbia Public School system, Dena graduated from Eastern High School and attended Morgan State University in Baltimore, Maryland. 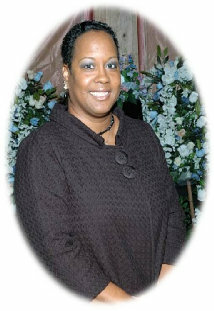 Dena accepted Christ as her personal Savior on March 4, 1990 at the Glendale Baptist Church in Washington, D.C. As a servant of the Multiculltural Worship Center, where her husband, William P. Cabell is the Pastor, First Lady Cabell is the Coordinator of the Women of Worth Ministry, Assistant Coordinator of the Married with Christ Ministry, and she continually aids and assist the needs of our senior members and non-members. Since May 9, 1987, Dena has been married to the love of her life, Pastor William P. Cabell, Sr. God blessed them to be the parents of three children: Dia Shanice, William Patrick, Jr., and Denia Katrina.